Roseville is located 10 minutes from downtown Minneapolis and Saint Paul, making our location the ideal place to stay for sports teams. Our close proximity to major sporting venues like U.S. Bank Stadium in downtown Minneapolis, Target Field, Xcel Energy Center and to many surrounding colleges and universities (such as the University of Minnesota) makes Roseville appealing for groups to stay. Let us help you make arrangements with our complimentary services. For more information regarding lodging for teams or spectators, contact Shannon Thomasser at sthomasser@visitroseville.com or (877) 980-3002. 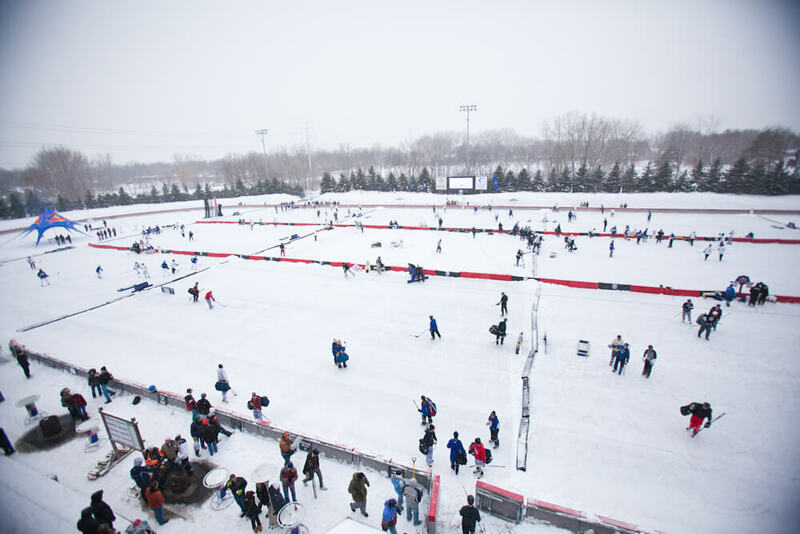 The Guidant John Rose MN OVAL is one of North America’s largest sheets of refrigerated outdoor ice and plays host to regional, national and international speed skating and bandy events. It’s 11,000 square-foot surface provides premier skating on a 400 meter tack and an infield that can support up to four hockey or figure-skating rinks. The Roseville Ice Arena is a year-round ice arena used for hockey, figure skating, skating lessons and general public skating. The Roseville Ice Arena has a capacity of 2,000 spectators, seven locker rooms and a concessions stand. The ice arena is surrounded by 1/7th mile-long indoor walking track. The City of Roseville offers a variety of outdoor and indoor athletic space for program use, rental and public walk up usage. These facilities include adult and youth softball fields, adult and youth baseball fields, adult and youth soccer field, gymnasiums and sand volleyball courts. The University of Northwestern – St. Paul is home to the Reynolds Field Complex. The $11 million complex was completed in 2014 and includes synthetic turf fields for football/soccer/lacrosse, baseball and softball, as well as six regulation-size tennis courts, updated bleacher seating and new locker rooms.